At his law office in Orem, Doug Barrett has noticed something about his clients: They’re older than they used to be. That’s troubling because Barrett specializes in bankruptcy, the legal last resort for people who can’t pay their bills. Even as bankruptcy rates are declining in the general population, both in Utah and nationwide, new research shows they’re increasing for people 65 and older. In 1991, 2.1 percent of people filing bankruptcy were between 65 and 74; in 2016, 12.2 percent were, according to a report on late-life bankruptcy published in August. “One in 7 bankruptcy filers is of retirement age, 65 years or over. This is a nearly five-fold increase over just two and a half decades. This is a notable demographic shift,” wrote the authors of “Graying of U.S. Bankruptcy,” the report prepared by scholars at four universities who work with the Consumer Bankruptcy Project. While bankruptcy is supposed to give financially troubled people a fresh start, it can pose special hardships for older people, who may no longer be able to work and rebuild their finances because of health issues or age discrimination, said Deborah Thorne, the lead author and an associate professor of sociology at the University of Idaho. Consequently, many seniors struggle to stay solvent even after their debts are discharged or restructured in bankruptcy. And many older people struggle with the ethical issues surrounding bankruptcy, believing that declaring bankruptcy is a moral failing, and that it’s important that they make debt payments even if there’s no money left over for food or medicine. One asset many older people do have, though, is family. And even though more than half the states have laws that require adult children to help take care of their insolvent parents, some seniors choose not to ask their families for help and others are going broke because they’re supporting grown children, the study found. Fixing the problem will require changes in both public policy and in parenting, bankruptcy experts say. The new report isn’t the first to point out the increase in seniors filing bankruptcy. Although states keep records of the number and type of bankruptcies filed, they don’t track the age or other demographics of filers, said David Sime, clerk of court for the U.S. Bankruptcy Court’s District of Utah. To uncover those demographic details, Thorne and her colleagues at the Consumer Bankruptcy Project used the addresses in public bankruptcy records to write to bankruptcy filers across the country and ask if they would fill out a questionnaire. From those responses, first collected in 2009, researchers noticed the troubling trend, which they mostly attribute to a fraying social safety net. 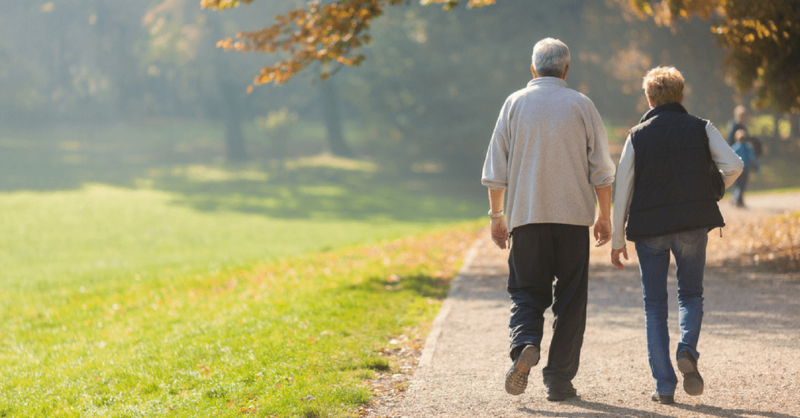 “The risks associated with aging, reduced income, and increased health care costs, have been offloaded onto older individuals,” Thorne and her co-authors wrote. Pensions are disappearing even as copays and out-of-pocket costs for medical care are increasing, and many older Americans are blindsided by health problems and their cost as they age. “Out-of-pocket expenses, not including long term care, are a major source of pressure. They take up 18 percent of a retiree’s income, and that’s just on average,” said Nicole Wipp, founder and principal attorney of the Family & Aging Law Center near Detroit, Michigan. When people with chronic illnesses, such as diabetes, can’t afford their medications, some will use credit cards, leading to debt payments that don’t fit in their budget. And while seniors typically carry the lowest credit-card debt of all age groups, for older households with debt, the total amount owed is growing. In 2001, the average senior household with debt owed $18,385 in medical, credit-card and other kinds of debt. In 2013, that amount had more than doubled to $40,900, according to the National Council on Aging. “I’ve been doing this for 25 years, and the stories are usually on the far end of tragic on the continuum,” Thorne said. “People are afraid. They feel quite hopeless, and once they hit 65 years old, there’s not a lot they can do. One-third of the respondents in the study by Thorne and her Consumer Bankruptcy Project said that care of family members and friends contributed to their bankruptcy. And both Wipp and Barrett said they increasingly see this dynamic in their practices. Usually what happens is that the child suffers a traumatic event such as divorce or losing a job. “The parent wants to help their adult child, like any parent would, but then the situation never goes away,” Wipp said, adding that this scenario plays out in families of all income and education levels. Nicole Wipp, founder and principal attorney of the Family & Aging Law Center near Detroit, Michigan. Another problem that bankruptcy attorneys are seeing are seniors whose finances suffered because of helping an adult child with education loans or drug addiction. Social Security can be garnished for a delinquent, co-signed loan, and Barrett says he’s seen parents gut their retirement savings to put a child through substance abuse treatment, sometimes more than once. “Most parents will do whatever they can to save a child, and those treatment costs go out of control, and it becomes a cycle,” Barrett said. “But I also see a lot of adult children, for whatever reason, moving in with mom and dad, living in the basement. Life’s pretty good living in the basement, and pretty soon mom and dad are broke. When adult children are financially independent, bankrupt seniors who live in the 28 states with filial support laws could be legally entitled to their help. The laws are rarely enforced, although a Pennsylvania judge ruled in 2012 that a son was liable for his mother’s $93,000 nursing home bill under that state’s filial support law. In another Pennsylvania case, a judge ordered a brother to pay his brother $400 a month to contribute to their mother’s care. Barring a court order, Robert Fugal, a partner in the firm Bird & Fugal in Orem, Utah, said he doesn’t recommend that children bail their parents out of financial trouble, and that often, it’s better to let insolvent seniors petition the court for relief. The Frank E. Moss United States Courthouse in Salt Lake City on Tuesday, Nov. 6, 2018. More than half of U.S. states have laws requiring that adult children help support their elderly parents. So why are so many seniors filing for bankruptcy? “I would recommend that a senior file a bankruptcy case rather than asking their family to contribute because the senior needs the family’s contribution to support them after bankruptcy,” Fugal said. “If they’re just barely living now and have a ton of debt, medical or otherwise, then maybe their income isn’t enough to support their ongoing needs. The family will be there to support their needs after bankruptcy,” Fugal said. 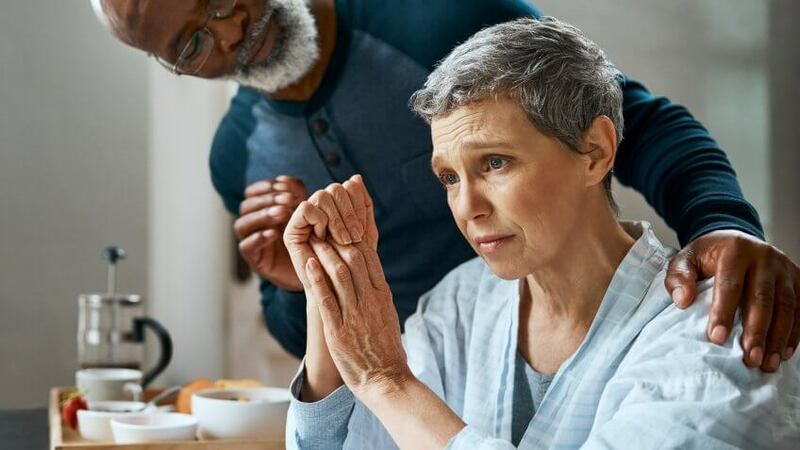 Bankruptcy can be a viable option for seniors in financial distress, and it’s better to consider it sooner than later, the attorneys said. The type of bankruptcy most often filed in the U.S. is Chapter 7, which discharges most medical and credit-card debt, although people will have to surrender some of their assets to pay creditors. Chapter 13 bankruptcy allows debtors to keep their assets while establishing a repayment plan for debt. The average senior has suffered financial distress for an average of five years before filing bankruptcy, the Consumer Bankruptcy Project found. Often, seniors will use up their retirement savings to pay medical or credit-card bills, even though in both Chapter 7 and Chapter 13 bankruptcy, retirement accounts are protected assets. That said, there are consequences to bankruptcy that every senior should consider. Bankruptcies are part of public record that can be seen by anyone with internet access. After bankruptcy, credit scores plunge, and it will be difficult to take out a loan or rent a house or apartment. A bankruptcy can even cause the insurance premium for your car or home to go up. For seniors who are struggling with money, the first step is to talk to a financial adviser who can help to decide if bankruptcy is an option that would help or hurt, depending on the situation. And remember that being in a tough situation doesn’t necessarily mean you’ve done anything wrong — sometimes you can do all the right things and still wind up bankrupt. After her report was published, Thorne said she corresponded with a 72-year-old woman who had a quarter of a million dollars in retirement savings, but lost much of it, and their home, in the Great Recession. After declaring bankruptcy, they now live in a motor home, and she drives for UberEats. At ages 70 and 72, both husband and wife are looking for better paying jobs, but finding it difficult because of their age even though the unemployment rate, at 3.7 percent, is the lowest it’s been since since 1969. Thorne believes the No. 1 thing that America should do to prevent seniors from spending their senior years in financial despair is for the federal government to provide robust and inexpensive health care so there will never be a case of medical bankruptcy. But Joe Antos, the Wilson H. Taylor Scholar in Health Care and Retirement Policy at the American Enterprise Institute, said that putting more money into government programs isn’t the answer, and that seniors aren’t going bankrupt just because of medical bills. Antos said many Americans have unreasonable expectations about what kind of health care they should be able to receive, and this attitude contributes to accumulating debt. A downsizing of expectations could help people keep their debt in check, he said. “Everybody expects that they should be able to go to the most expensive hospital in the country for even fairly routine things. I think people’s attitudes about what they should expect out of the health care system have changed in a way that’s not compatible with being able to find the resources to meet those expectations,” he said. Once a senior is headed for bankruptcy, however, something else that could help is to increase the homestead exemption — the amount of equity protected in a home — in states where it is low, like Utah, Fugal said. “Right now, it’s $30,000 per person (in Utah), and that really isn’t much of a homestead. Many states have something more on the order of $300,000 or $400,000,” he said. After the Great Depression, the establishment of Social Security and, later, Medicare and Medicaid, was supposed to solve the problem of impoverished seniors and their health needs. In the heyday of pensions, those government programs largely did, Fugal said, although she fears erosion of these programs will contribute to even more seniors in bankruptcy. Both Social Security and Medicare, which account for 42 percent of the government’s spending on federal programs, are facing significant shortfalls in coming years because there are more people entering retirement years than young people entering employment. In the government’s most recent projections, Social Security, as currently funded, will not be able to pay full benefits after 2034. “I think we need to be cautious about the direction we’re heading,” said Thorne, who has a doctorate in sociology and has been studying bankruptcy for a quarter of a century. “That is the most egregious way of treating other people. We’ve been there. And this is what happens. Our bodies get old, we get sick and we can’t work anymore. “I’ve been lucky — knock on wood, but virtually all of us, unless you’re (Jeff) Bezos or the person who just won the lottery, are just one decent illness away from bankruptcy,” she said. Now Melania Trump Is Calling “You’re Fired” To Top White House Deputy Security Advisor! Don Lemon shames students flagging nazi sign in prom photo!